Whether you’re planning margarita night or a whiskey-and-cigar poker party, our spirits are sure to make a splash. 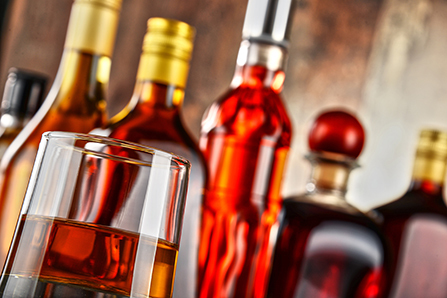 From Jack Daniels, Captain Morgan and Jose Cuervo to premium cognac and single-malt scotch, Harbor offers a diverse selection local and international spirits, liqueurs and cordials. Can’t find the spirit you’re looking for? Just ask! Fill out the special request form or stop in our store and we’ll do our best to get it in stock. There’s always something new at Harbor Wine and Spirits. Buying in bulk? Mix and match a case of spirits for a 15% discount! There's nothing like the taste of quality liquor in your favorite cocktail or on the rocks. Harbor Wine and Spirits has a large variety of liquors suited to quench your thirst and tickle your taste buds. Check out our product of the month special for a great deal on our quality selections. Sample our product of the month with at least two complimentary in-store tastings!